Nagoya City (pictured) is “yet to consider” whether it will bid to host a Japan casino resort, according to a questionnaire issued to all Japanese local authorities with the right to activate such a policy. The multiple-choice poll was compiled by the Office of Integrated Resort Regime Promotion – known as the IR Promotion Secretariat – and sent to all Japan’s 47 prefectures and 20 ordinance-designated cities. In July the Nikkei Asian Review news outlet had cited Nagoya’s mayor, Takashi Kawamura, as saying that the city should bid, although the same story indirectly quoted a local official as being non-committal at that stage. Mr Kawamura is not affiliated in party-political terms to Prime Minister Shinzo Abe’s coalition government, but is a member of a pro-business party called Genzei Nippon, which translates as “Tax Reduction Japan”. The national government’s policy of allowing casino resorts – venues referred to in Japan as integrated resorts (IR) – has been touted as a way to create economic growth, generate fresh public revenue, and encourage more inbound tourism. Nagoya, capital of Japan’s Aichi prefecture, is a manufacturing and port city in central Honshu island. The urban centre is Japan’s fourth-largest city by population, according to 2015 census data from the country’s Ministry of Internal Affairs and Communications. 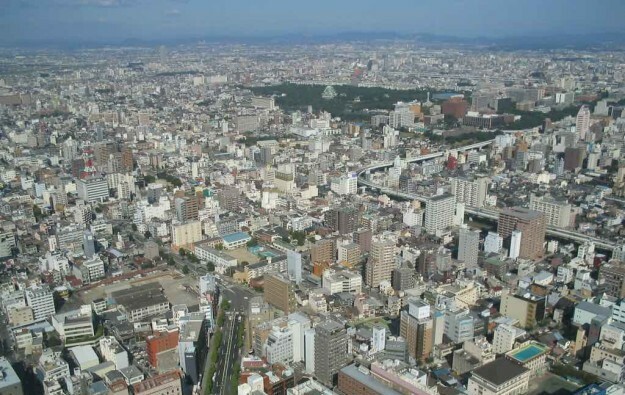 As of April 1 this year, Nagoya had 2.31 million inhabitants, showed local government data. According to the Greater Nagoya Initiative Center – a joint effort of national government, local authorities, industry and academics – set up in 2006 to promote inward investment, Greater Nagoya’s population is circa 11 million and the area contributes approximately 10 percent annually to Japan’s gross domestic product. The Sankei Shimbun newspaper reported that the Japan-wide city and prefecture casino questionnaire from the IR Promotion Secretariat – a body reporting to the country’s Cabinet Office – also produced responses from other major places. Hokkaido prefecture, Chiba City, Tokyo, and Yokohama City, respectively said the idea of hosting a casino was “now under consideration”. Last month a local advisory panel recommended that Tomakomai City, an industrial port, would be the most suitable location in Hokkaido. Also last month, Tokyo selected business services firm Deloitte Touche Tohmatsu LLC to do an impact study on the matter. 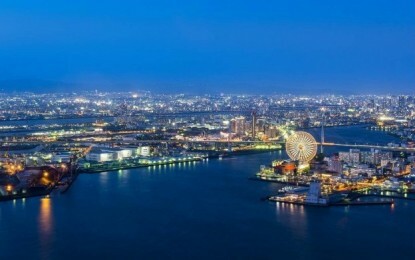 In late September it emerged that Yokohama, Japan’s second-largest metropolis by population, had received requests for information from 12 organisations regarding the chance of building a casino resort there. Osaka City, Wakayama prefecture and Nagasaki prefecture said respectively in answer to the IR Secretariat’s questionnaire, they would “try to host an IR”. Nonetheless the governor and mayor of Wakayama are said to be at odds on whether Japanese citizens should be allowed to use any such facility in their area. Okinawa prefecture in the far south of the country confirmed previous media reports that it was “not interested in hosting an IR”. In other developments, last week Mr Abe responded to a question in parliament from an opposition politician regarding whether the Japanese leader had any “pressure” from United States president Donald Trump regarding the possibility of certain U.S. casino companies being involved in Japan casinos. Mr Abe is said to have responded to his interrogator “Not at all”. According to the most recent information from those familiar with the casino liberalisation process, it is likely to be the year 2021 or later before sites for such schemes – in a maximum of three locations initially – are announced by the Japanese authorities. By that time it is possible that neither Mr Abe nor Mr Trump will be in power. Mr Abe, already in his third term as prime minister, does not however under the Japanese constitutional system face any limits on the number of terms he can serve.